It has been awhile since my last newsletter. Much has been happening and so I will jump right in. 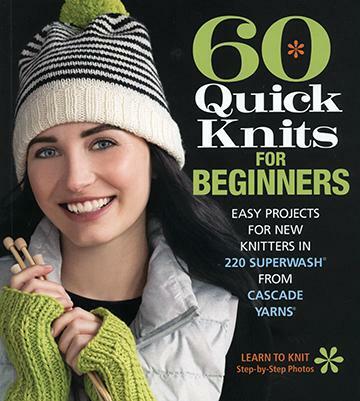 Quick Knits books have also arrived including their latest one 60 Quick Knits for Beginners. We now have 13 different colour pallets in the Koigu Pencil Boxes. These colours are curated by Koigu and with 800 mtrs of yarn in each box there is enough to make an amazing shawl. 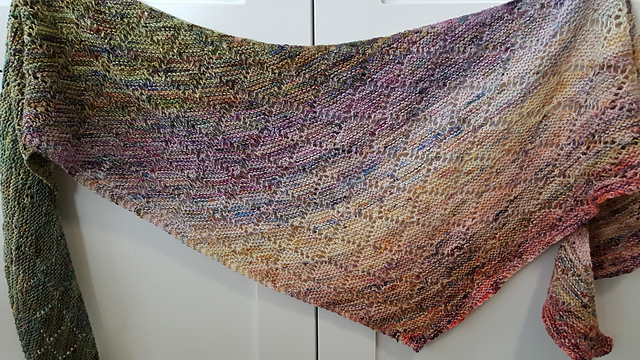 One of our regular customers, Maureen test knit the Jacinta Shawl by Ambah O'Brien and used one of the boxes with a stunning result. A new delivery from Biscotte arrived last week. Lots more Bis-Sock Self Striping yarn including some new colours for Christmas and summer that we haven't had before. I have knit socks with this yarn and it is lovely and soft and you could easily use it for other garments. 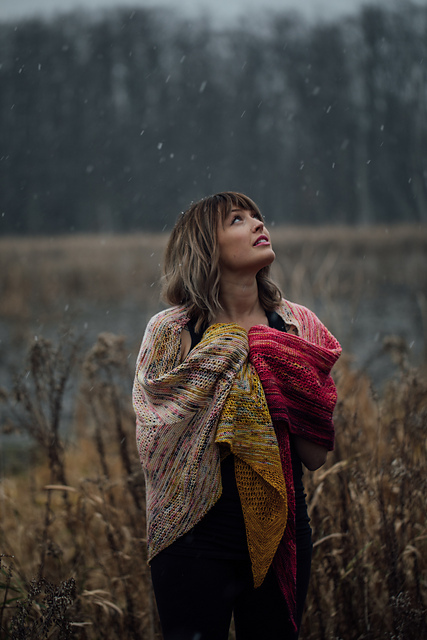 Hedgehog Fibres have brought back three of their discontinued colours that were used in Andrea Mowry's 'Find Your Fade Shawl'. 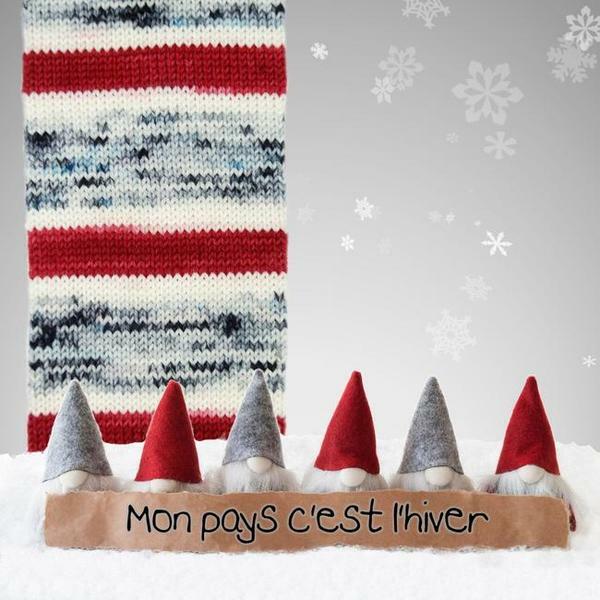 We have kits of the 7 colours used both on their Skinny Singles base and the Sock base. This is the second delivery as the first 12 kits sold out very quickly. We have hard copies of the pattern in store too. 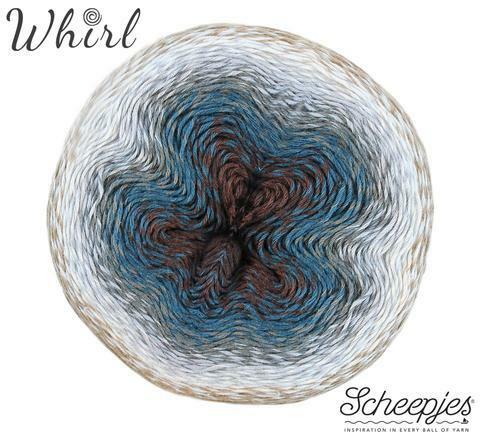 Scheepjes Whirl has been fully restocked and we have all of the colours at the moment. We have restocked the lovely summer yarns from the Katia Concept Range, Cotton Cashmere and Cotton Yak. We have also their brand new Polynesia yarn which is a linen/cotton blend. I have cast on a top, Derecho by Alison Green, and it is very nice to work with. Quite soft with a lovely slub for a textured look. 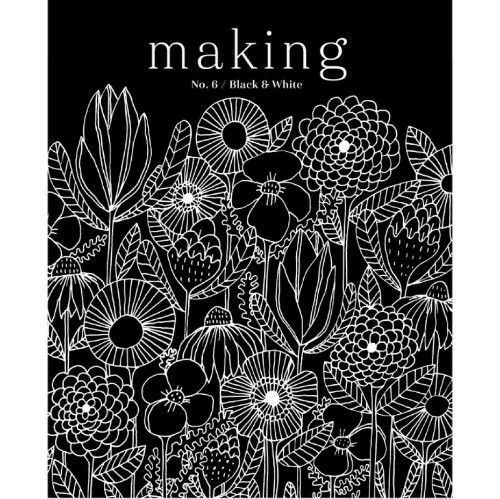 Making Magazine Black and White issue goes on sale tomorrow and we have them ready to go. 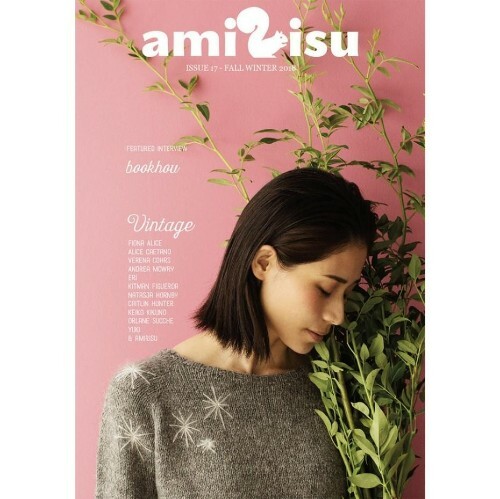 Amirisu Issue 17 has arrived too and is selling fast. We have received some more copies of Laine 6 if you missed out the first time. Finally in the book and magazine department we have the latest book from Tin Can Knits called Strange Brew: A Colourwork Knitting Adventure. 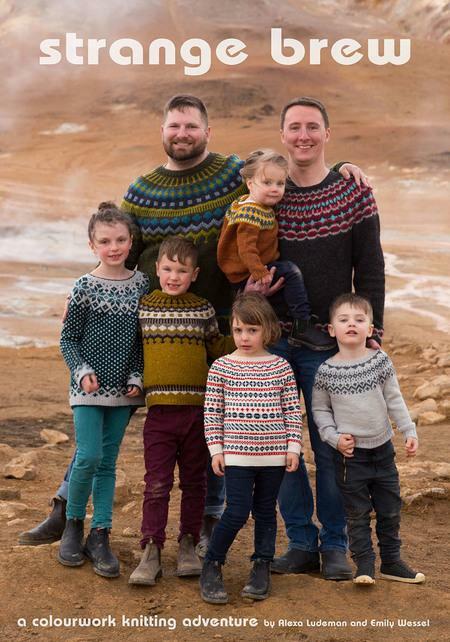 Tin Can Knits design for the whole family and these patterns are fabulous! Colourwork seems to be the rage at the moment and this is a great book to learn from if you haven't tried colourwork before. 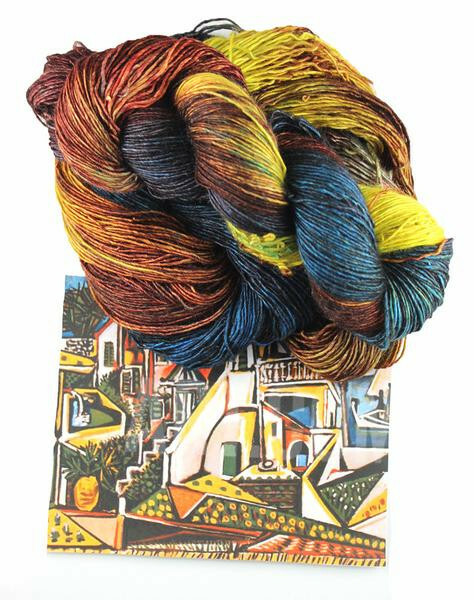 Malabrigo Sock yarn and Rios have also been restocked. I am also waiting on several more boxes of yarn from different companies so keep an eye on the website. I also update regularly on Instagram and Facebook as soon as stock arrives. New in last week too were the Knit Pro Knit Blockers and T/pins. The weather has been great for blocking lately although not so today with much needed rain coming down. We also have our lovely vintage enamel boxes from Fire Fly Notes back again. 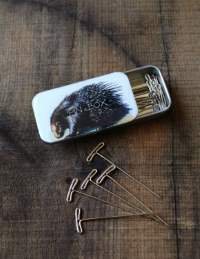 Sheep Knit Kit Tins, Porcupine Pin Tins and tiny Sheep Stitch Marker Tins all carrying notions that knitters can't live without. 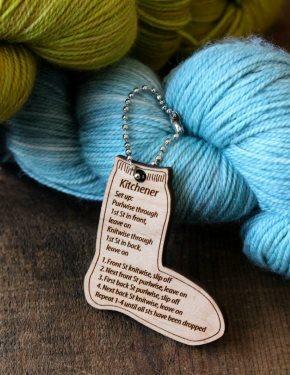 As well as for sock knitters the Kitchener Sock Fob. They all make great gifts too. Our classes have finished for the year as we get closer to Christmas. 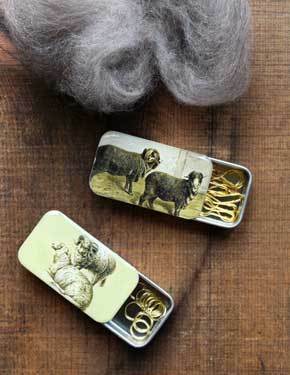 I will be going to Vogue Knitting Live in Minneapolis next week and will be away for 10 days. I am catching up with my friend Heidi whom I met at my shop several years ago and we now seem to make this an bi-annual event. I am meeting up with the ladies from Koigu and also there may be some other new yarns that I will be checking out! Stay tuned. We are back and the shop re-opens on Tuesday at 10am! I have had a relaxing break and apart from trying to stay cool in this disgusting humidity I really haven't done much at all. The online orders have been going out over the break and more orders are arriving each day. 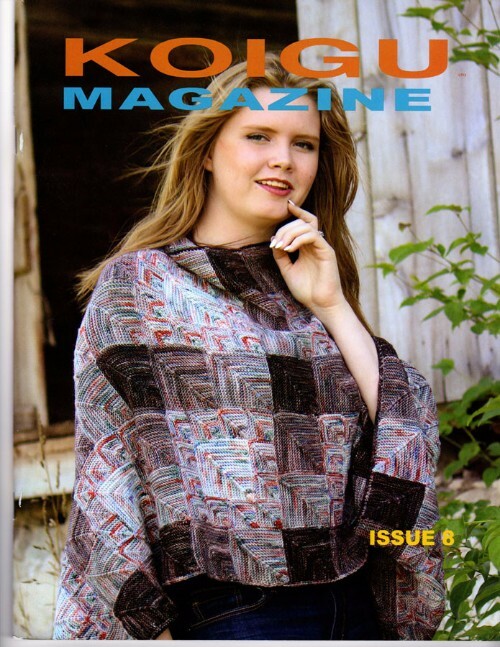 Koigu Magazine Issue 8 is here and once again contains patterns for 30 gorgeous garments by well know designers. Many of the patterns use the gradient packs which we have in store. 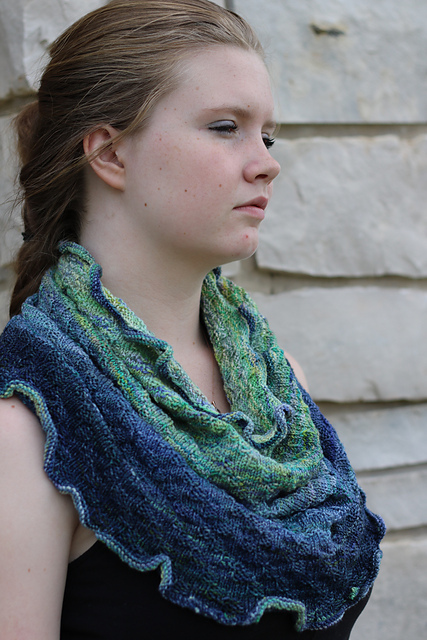 Including this Gradient Cowl by Kathy Merrick. We have also had delivery of the latest offering in the Zen Yarn Garden Artwalk Series. Number 28 is "Mediterranean Landscape" by Pablo Picasso painted on Serenity 20 which is merino and cashmere. 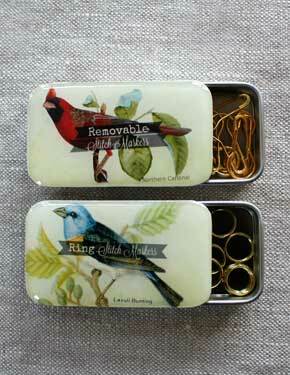 Our lovely little enameled Vintage Bird Stitch Marker Tins arrived the day before Christmas. They hold 10 round or pin markers with room in the tin to add more markers. 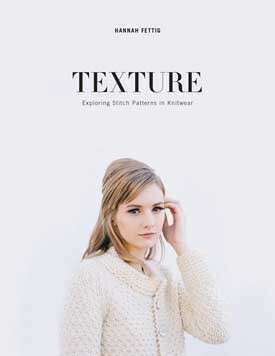 Hannah Fettig (aka Knitbot) has a brand new book out called Texture. Texture's design collection features both garments and accessory pattern, each showcasing the irresistible qualities of textured knit fabrics. At this stage we only have 2 copies left but I have more on order. We also have a large order of Cascade Ultra Pima which arrived last Thursday. 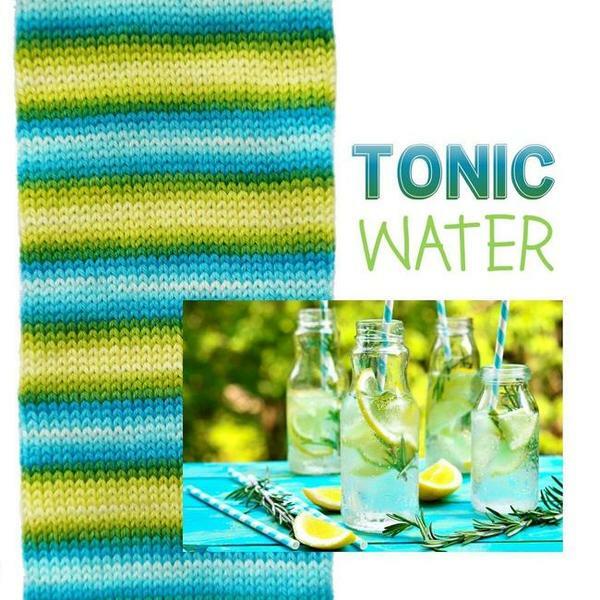 I do love this yarn for garments and blankets. It is an 8ply/DK weight Pima cotton if you haven't used it before. 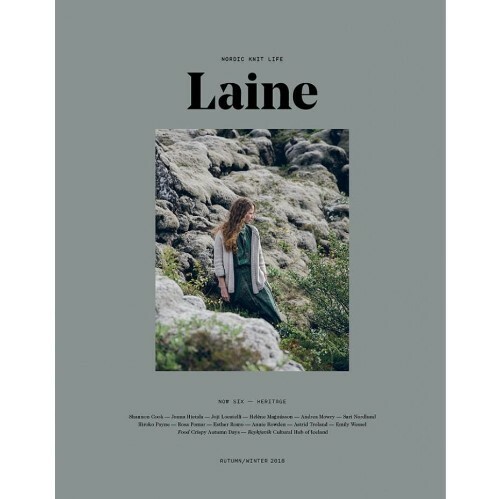 Laine Magazine is a brand new Nordic magazine that came out just before Christmas. I have been getting a huge amount of inquiries about this magazine as I am listed as a stockist. As of the time of writing this newsletter I have still not received my copies. I am not taking pre-orders but will let you know as soon as the magazine arrives, either on Facebook, Instagram or by Newsletter Update. If you do miss out this time I have another order arriving in about 6 weeks as the magazine is going to have a second print run. Our new Class List for Term 1 is also up on the website. We will be starting a new knitting/crochet night once a month on the first Thursday of each month beginning in February. All the details are on the website. 2016 Brisbane Craft & Quilt Fair! October 5th - 9th Stand D14. Our shop is CLOSED this week as we are once again heading into the Convention Centre for the Brisbane Craft & Quilt Fair. The fair runs from Wednesday 5th October until Sunday 9th October. You can find us on Stand D14. We will reopen again on Tuesday 11th. Our online shop is always open!